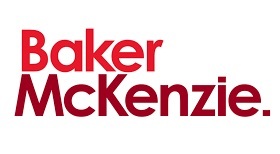 Baker McKenzie in Johannesburg has announced it will offer three external candidates a place on the firm’s Practice Management Training (PMT) programme for new partners in 2018. PMT is offered by the Law Society of South Africa (LSSA) and now also in-house by Baker McKenzie, through a Joint Training Agreement with the LSSA. This initiative is part of the firm’s Skills Development programme, which is a key component of its Black Economic Empowerment strategy. The firm is offering three candidates the opportunity to complete this PMT course at no cost at the law firm’s Sandton offices. Candidates must be previously disadvantaged South Africans, promoted to partner in 2017. Preference will be given to attorneys who need practice support and candidates must be able to regularly travel to the firm’s offices for training. The course will run in the evenings and on weekends from February – July 2018. Applications close on 1 December 2018 and interviews will be conducted with shortlisted candidates.